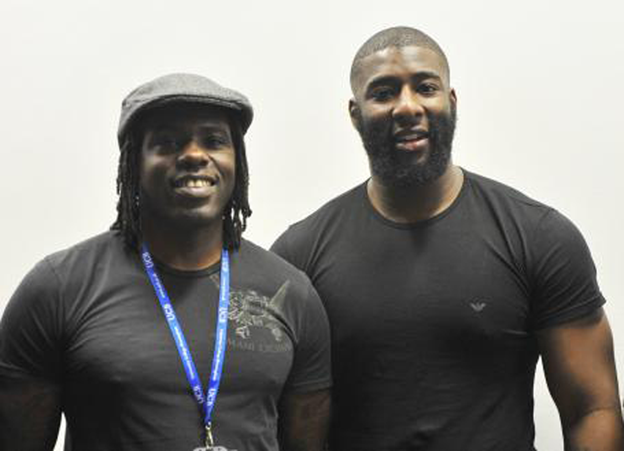 Now a head coach to West Bromwich Albion’s under-11s Colts, Sylvester spoke movingly about his personal journey through the criminal justice pipeline to emerge as a respected youth mentor and sports professional with a new meaning to his life. He was giving the keynote speech at a national conference in Birmingham on ‘Responding to Youth Violence’ presented by the EU Gangs Project, a new initiative bringing together professionals from five different European countries – the UK, Romania, Italy, Cyprus and Greece – who work within the gang culture. “People who worked with me, not on me, allowing me to change my lifestyle, is the reason I am standing here before you today,” said Sylvester, speaking at University College Birmingham. Sylvester, currently studying for a degree, told of how he used to break dance in class at school because the teachers paid him and other teenagers like him, no attention. From there he slipped into the gang way of life, joining the notorious Zulu Army football hooligans creating match day violence across Birmingham. He’d been kicked out of home and kicked out of college. Finally, his yearning to leave the criminal lifestyle had a much-needed boost when he met his partner who gave him an ultimatum: "If you want to be with me, leave this way of life. Get a job. Get an education." Now he works alongside Craig Pinkney, a respected criminologist, film maker, lecturer and director of Real Action UK, an outreach organisation supporting disaffected youth. Pinkney aims to bridge the gap between academia and the community, while shining a spotlight on how father absence, the lure of life on the road and the ‘nurturing’ found in gangs, rather than the home, leads teens of both sexes into a downward spiral of crime. Pinkney said: “Time and time again an absent father has a huge psychological and emotional impact on young men and women. And ‘father deficit’ is not just an inner-city issue. It can affect affluent families where a father maybe present, but is absent because he has no relationship with his children. While Asaybi Spence, who ran a workshop on girls involved in gangs, said she challenged home secretary’s Theresa May’s view that ganga were "a scourge on society" because good values such as a sense of belonging and nurturing can also come from gangs. Criminologist and writer Dr Martin Glynn, who sat in on the girls and gangs workshop, said it was interesting that those who chose to attend were nearly all women. Earlier, those at the conference watched Four Voices a candid short film by Sara Myers on how four women were tragically linked through gangs. It is a new vocational training and qualification programme which provides skills and knowledge, while also redressing the current skills mismatch needed by all those working with gangs and gang crime.